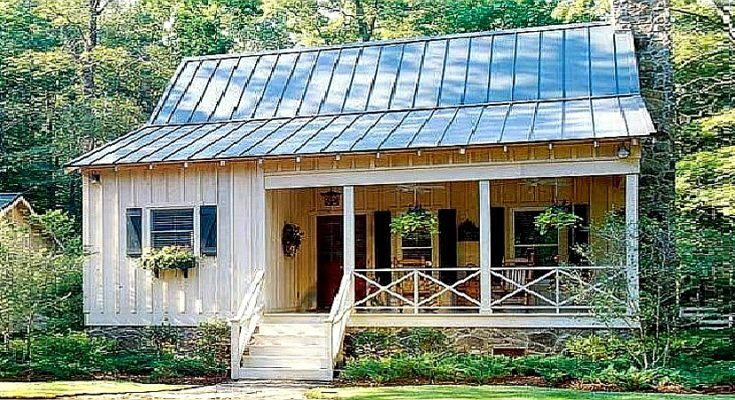 Emerging in popularity in this innovative modern era, tiny homes and prefab and modular houses are speedily popping in many areas. Many individuals have thought of downsizing their lifestyle as an answer to growing environmental issues of our current national and global civilization. With attentive, state-of-the-art designs, some property holders have realized that tiny houses direct them to a simpler yet sometimes more fulfilling life which connects them to closer family ties. It is great to gain freedom from high mortgages and the need to maintain costly upkeep of the house. With a 973 square foot house size, there are many things that young couples can enjoy. Two bedrooms and two bathrooms make up this nice dwelling which can truly make a beautiful small family happy. There is an open porch in the entrance which is great for relaxation and a source of quick comfort as days become very busy for the whole family. It is a nice area to gaze at the garden and be in tune with nature. The living room has a fireplace which sets the temperature during cold weather. All throughout the house, there are windows which allow the family to enjoy the lovely surroundings while a vetted porch serves as a special hide-out to experience the gentle wind during idle afternoon teas. For food preparation, a small uncluttered kitchen is set that is functional to serve simple or lavish lunch and dinner. A dining space is also included for a cozy dining experience for the whole family. Upstairs, there are two bedrooms and one bathroom is in the first floor while the other bathroom is in the second floor. Indeed, this two bedroom cabin is good for young couples or starting families that would love to have beautiful memories in a lovely simple home. 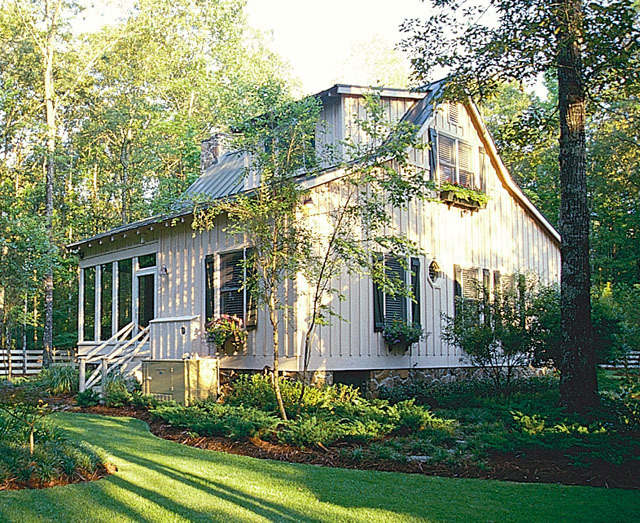 To see more of Metal Building Homes’ work, find them in the Building Homes and Living directory.